So its now officially Autumn!. The final quarter of 2018 – honestly where has the year gone?. Does anyone else think its just whizzed by so fast?. Please say yes so I just don’t think its because I’m getting older and they say time speeds up as you do eek!. The end of Summer / start of Autumn weekend was a good one – I went to see Wicked last Saturday – its the third time I’ve seen it now but its just as spell binding as the first time!. Sunday was such a lovely Sunny Autumn day , we took a stroll around Beamish museum. We have those annual passes for £20 which means you can go as often as you like – its perfect for a nice walk. plus there is always something going on there. The pub with their apple cider – delicious, perfect for this time of year . I can’t wait for the 1950’s town to open aswell!!! . 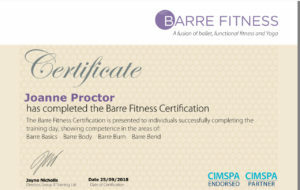 This week I finished my Barre qualification, hurrah!. Barre is a combination of Ballet moves, combined with Pilates and Yoga – plus we’ll be adding in elements of HIIT, plus using weights aswell for workout that is going to help you get leaner, stronger and more toned – perfect for any time of year , but especially with the Christmas party season right around the corner!. Its a class I’ve wanted to bring to the timetable for a while and I’m excited to finally be able to do just that. check out our new October Timetable on our Timetable page! . I would love to add a Teen/Tween barre class too if I can fit one in somewhere!. 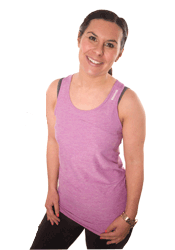 Those of you coming along to Barre next week – don’t forget your 1kg weights if you have them!. I got mine from Argos for £6.99. Halloween Kids Yoga camp 1130am-3pm at Believe and Be Consett . This class is suitable for kids age 4-7. £18 per child including a picnic lunch , 90 minutes play in believe Town plus a Yoga and craft session. Spaces are limited so do please book early! Of course they can get dressed up in their halloween costumes ! 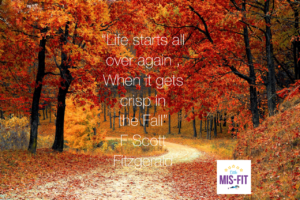 We will also be doing our Pumpkin HIIT class and a family Halloween Yoga class! on Saturday 27th October – more details to follow! Last week we also had our first men on mats pilates class – which was really busy. I think they really didn’t know what to expect, but they all did brilliantly . They all seemed to really enjoy it and hopefully all coming back! 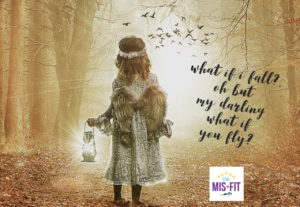 By the end of the year Little Mis Fit will be full time – eek, I’m not going to lie , I am so nervous to leave my corporate 9-5 Travel job with its steady pay check and benefits – I only work there two days now but its still nerve racking taking that leap into full time self employment . I have to try though and life is indeed what happens at the end of your comfort zone so its time to spread my butterfly wings and fly. I’ll definitely be sharing my journey here on my blog for those of you that want to follow along. Maybe you are on a similar journey or maybe you would love to do something you are passionate about for a career so maybe my journey might help you in some way. This weekend I’m off on a little trip to the Busy Bee Studio in Durham with my friend Erin, for a browse around their Halloween/Autumn goodies. Erin has been telling me about this shop for ages and they have three big shopping weekends – one end of September, one end of October and one end of November . I’m so excited. as they keep posting teasers on Instagram of the shop and all the amazing products. Check out their Instagram @busybeestudio.co.uk. I’ll try and Instastory on our trip there , and I’ll definitely be sharing anything I purchase.